Thanks to generous donations, our backpack and canoe trip campers will have new tents to sleep in this summer (and some new backpacks)! For other ideas of things camp could use, see www.cpbc.com/wishlist. Find out more about our trips at www.cpbc.com/trips. There is limited space left! Our local Northstar Hospital administration team joined us yesterday for a day of leadership development and team-building. The group met in our chapel building for their sessions, and had lunch and team-building activities that focused on communication in our dining hall. The photos shown are of the “marshmallow challenge” in which small teams worked together to build a structures of spaghetti noodles, tape, string, and a marshmallow. Though a valuable experience for all, not every structure stood. 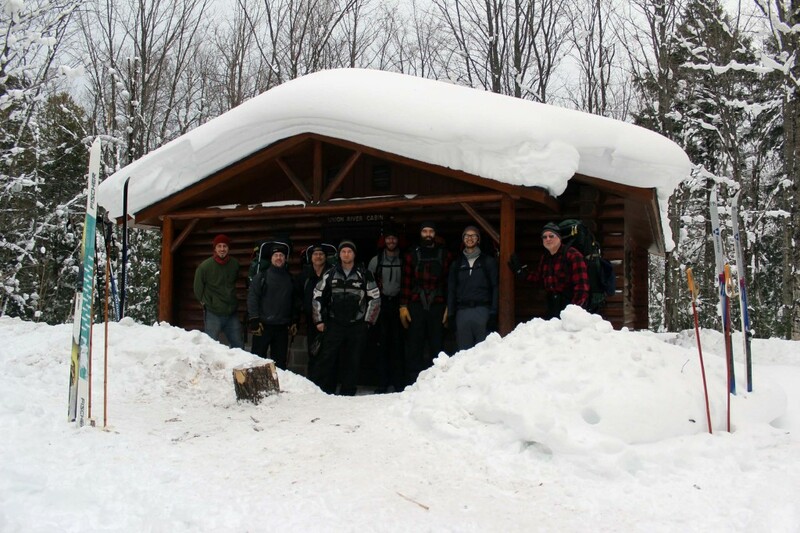 For more information on team-building or outdoor education at Covenant Point, check out http://www.cpbc.com/aote-outdoor/ or email dustin@cpbc.com. 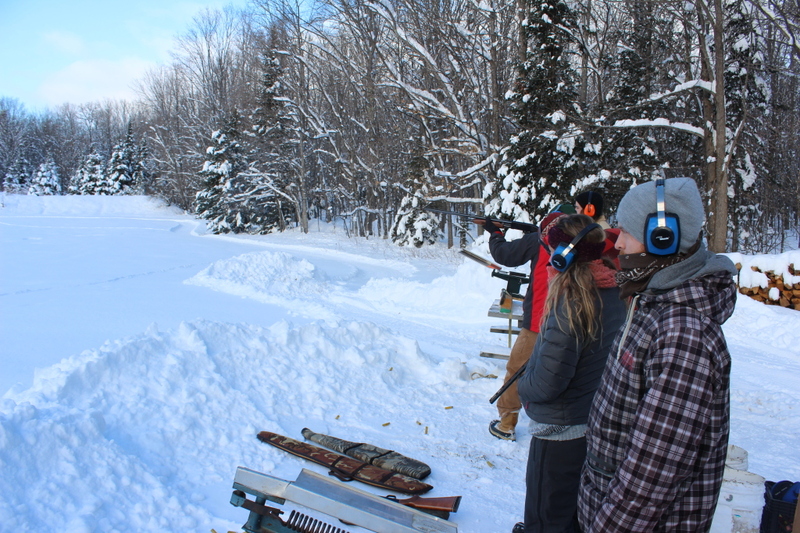 Through the efforts of some U.P. churches, and individuals, camp has gotten a Ford F-350 truck, and a Boss V-plow. This is such a wonderful fulfillment of a need at camp, our main plowing vehicle is camp’s John Deere tractor, which requires whoever is using it to sit out in the elements for a long stretch of time, . With the new truck, whoever snowplows now has a heated cab, and a hydraulic snow plow that can go to any angle at the push of a button. This new plow is also wider and taller, which allows you to push more snow at once and take more out of a bank with a single pass, all of this to say that plowing is much faster now. We at camp are so thankful for those who helped get this donation fulfilled. Christmas Camp was a Smashing Success! We had a very full and wonderful Christmas Camp this year! We added a puzzle competition where teams were came together to see who could put their puzzle together the fastest. We extended our Christmas season by singing carols and reliving the Christmas story through the eyes of the shepherds, Zachariah, and Harrod with the help of Kyle Mecher, our speaker of the week. Hope to see you at Christmas Camp next year! January 7, 2015 | Categories: Uncategorized | Comments Off on Christmas Camp was a Smashing Success! We had another great weekend of the OneLife Retreat over Presidents Day weekend! We were blessed to have Hinsdale Covenant, Winnetka Covenant, Grace Covenant, Park Ridge Community Church, North Park Covenant, Evangelical Covenant Church of Princeton, Glen Ellyn Covenant, and Gladstone Covenant Church join us for the second OneLife retreat! We enjoyed a broomball tournament, fun in the snow, Skiing at Brule, good food, and great worship together. Our speaker this weekend was Melissa Wall, pastor at DeerGrove Covenant Church. Melissa shared with us how to engage in the Lord’s Prayer and what it looks like to pray that our will would become God’s will. Thanks to Joe Poppino and his band from Hinsdale Covenant who led us in worship this weekend! God blessed us with great weather for playing and opportunities for meaningful conversation. Thanks to all for making this weekend memorable! Help Us Finish 2013 With Strength! Merry Christmas from all of us at Covenant Point! Many of you have already responded to our year-end appeal letter that went out in November, and we’re so grateful and encouraged by the participation and support of each. Thank you! CPBC found opportunities to grow this year, creating new ways to touch more lives – exciting opportunities like our Autism Spectrum Disorder Family Camp and the Central Conference’s Adventures in Leadership, a wilderness leadership experience for high school students. To continue to see these programs develop, our facilities cared for with excellence, and our staff to flourish, we need your ongoing support. We have two important goals on the immediate horizon that you should know about. First, is to maintain our strong Annual Fund. When you give to our Annual Fund, think: immediate needs, expenses not covered by camper fees, creative new programming, and staff development. Second, is to complete the Chuck Frasier Memorial Campaign. We’re only $34,000 away from reaching our $600,000 goal! Launched in August of 2011 as the largest capital campaign in our history, it seeks to honor the life of former director Chuck Frasier by building a new director’s home and establishing an endowment to fund the CPBC Internship Program. The home is completed and the endowment is growing with each gift given. When you give to The Chuck Frasier Memorial Campaign, think: long-term investment, equipping young leaders, strengthening our financial foundation, and honoring Chuck’s faithfulness. Friends, the mission is alive and the need is real. I ask you to please join me in giving back this year to a ministry that has given so much to so many, and help us reach these exciting goals. Your support of Covenant Point with a cash gift or stock donation will directly impact programs that change lives for Christ. Gifts can also be made securely through our website at www.cpbc.com/donate. Covenant Point Bible Camp is a 501c3 nonprofit organization. Donations of cash & property are tax-deductible, as allowed by law. December 29, 2013 | Categories: Uncategorized | Comments Off on Help Us Finish 2013 With Strength! 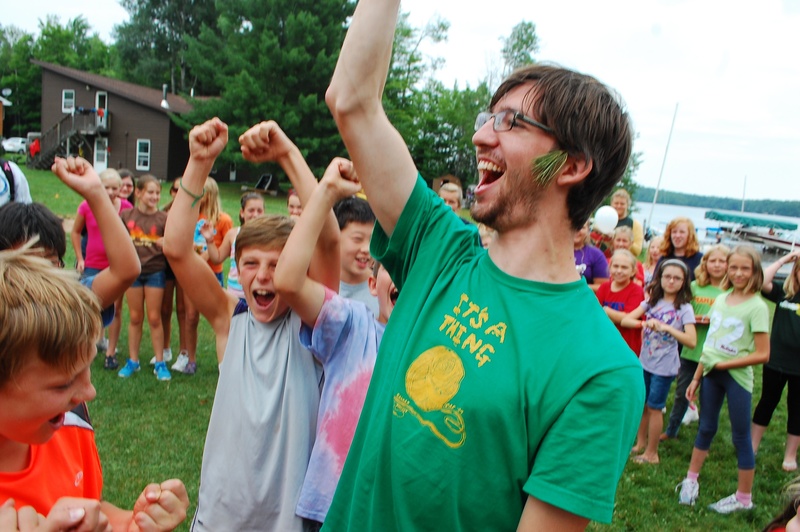 With excitement, Covenant Point Bible Camp is now accepting resumes for two part-time, permanent staff positions (which may be combined as one full-time position). A ministry overview, application instructions, and job descriptions for both the Office Manager and Head Cook positions can be found at www.cpbc.com/staffopenings. The positions may also be found on www.covchurch.org/jobs. Application deadline is November 30, 2013. Please direct any additional questions to Executive Director, Erik Strom. Download to register youth campers for any of our Trips, Island, or Mainland camps. Learn more about summer programs. Download this health form and mail/fax it in prior to the week that you will be attending. Download to register for any of our three family camp weeks. 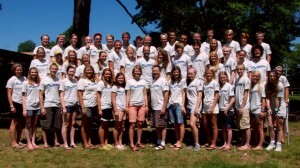 Learn more about family camp. Download to register for any of our three family camp weeks. Learn more about A.S.D. family camp. 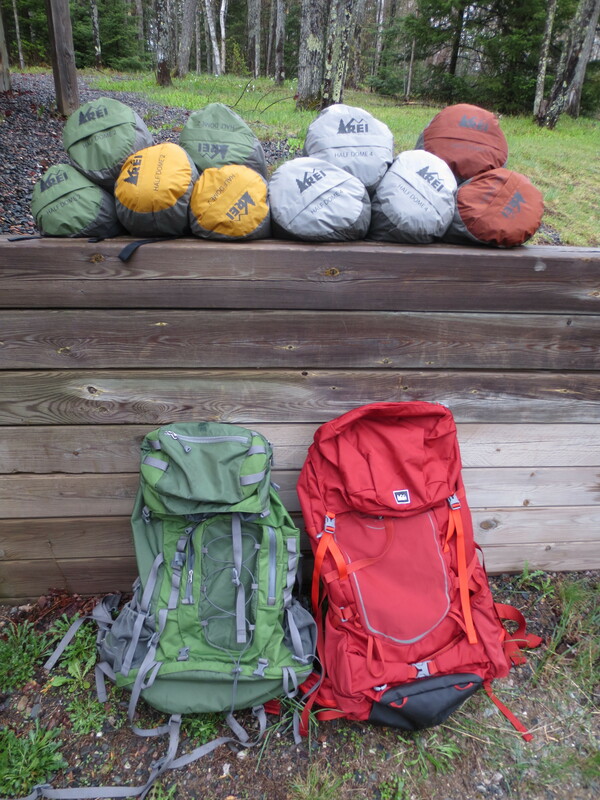 Download to register for our Venture Out womens backpacking trip. Apply to be a part of our Adventures in Leadership Program which serves students for Covenant Central Conference Churches. Jeff Root, youth pastor from Glen Elyn Covenant is here this week as our speaker. We are enjoying all of the beautiful weather and having a ball with kids from all over Illinois, Wisconsin, and Michigan. Here are photos from this week! There are often times in the life of a camp staff when strategy meetings need moments of great JOIA. So it happened one afternoon when the long winter doldrums were getting to everyone. To add spice and flavor to our time, former Point and Harbor staff person, Carleton Johnson, shared with us a sampling of a product he is marketing. 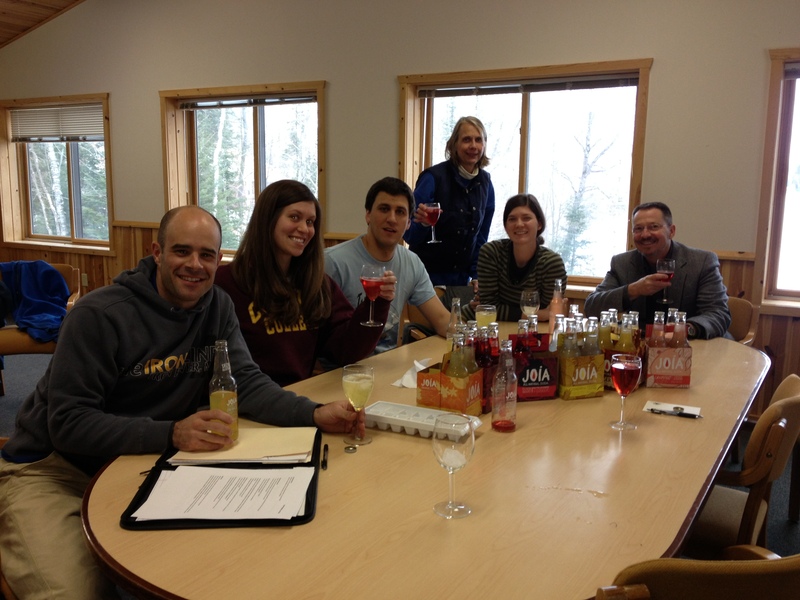 Carleton and another associate started a business called Boundary Waters Brands selling a beverage named JOIA, a blend of three ingredients, a fruit, a flower, and a spice. Two examples of this refreshing all natural soda are: Blackberry/pomegranate/ginger or Lime/hibiscus/cloves. There are six varieties in all. The business which began in Minneapolis, has since arrived in other locations of the country like Seattle, Los Angelas, Portland, Denver, and Chicago area. To read more about JOIA, an informative website can be found at www.joialife.com. 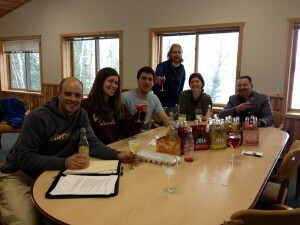 As for Point staff, we lift a bottle of JOIA to you, Carleton, for doing just that in our small little U.P. world. Blessings to your growth. 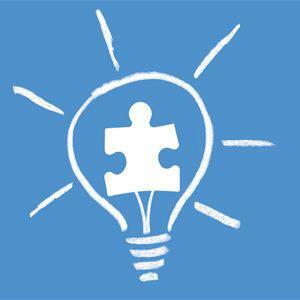 The sixth annual World Autism Awareness Day is April 2, 2013. Every year, autism organizations around the world celebrate the day with unique fundraising and awareness-raising events. At Covenant Point we want to celebrate by announcing our very first ASD (Autism Spectrum Disorder) Family Camp Week a Covenant Point family camp week designed to build community and support among families who have children with autism. The week will take place August 6-10, 2013, and will cost only $150 per family. 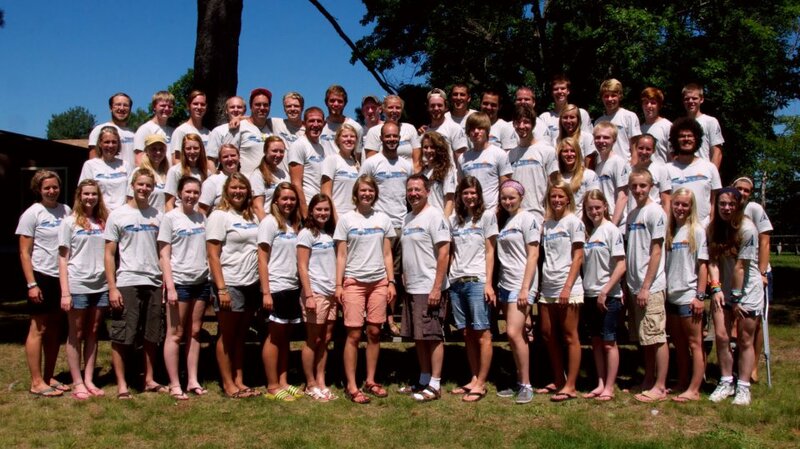 The remaining funding is raised through our Annual Triathlon Fundraiser, which brings in annual funds to enable ministry to campers with special needs.